← Not the book you expect… the one you need. Really enjoying Mr. Robot. Yeah, everyone who told me that I would love it is right, and I should have watched it earlier. Loving it on many levels. But the one that keeps coming home for me is finding it kind of a Taxi Driver for the 21st century. No small part of this is Mac Quayle’s original soundtrack, often present when Rami Malek’s Elliot Alderson is monologuing, so similar to Robert De Nero’s Travis Bickle in the NYC rain. I get this vibe at least once an episode, and it’s usually enhanced by Quayle’s music which has been an Bernard Herrman/Vangelis/Tangerine Dream heartbeat, rhythm and tonal subtext. And for me, it doesn’t get much better than that. So I just got to episode 5 of Mr. Robot, in which the last scenes end with Tangerine Dream’s “Love on a Real Train” underscoring the dialog. If you’ve seen Risky Business, you’ll remember this as the theme when Joel and Lana take a particularly interesting train ride very early in the morning. Yeah, it was a hot scene, but the music is what my young self really took away from that, buying every Tangerine Dream album I could lay my hands on for the next few months. I’ve always felt that this instrumental is one of those perfect pieces of music, the way it builds, the consistent themes that layer within, the relatively slow pace that carries a precise speed… just wonderful. 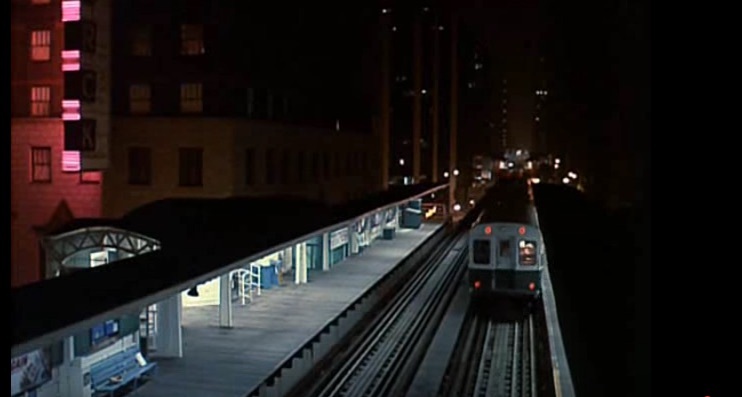 This entry was posted in Film, Music, Personal, Random thoughts and tagged bernard herrmann, Elliot Alderson, joel, lana, love on a real train, mac quayle, mr robot, rami malek, risky business, robert de nero, soundtrack, tangerine dream, train, travis bickle, vangellis, vibe. Bookmark the permalink.